everyday thoughts | JD Stockholm. I’m sorry. 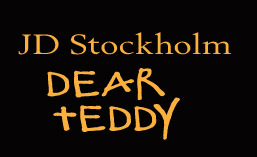 I just needed to say that as I near the end of writing the last book of Teddy. 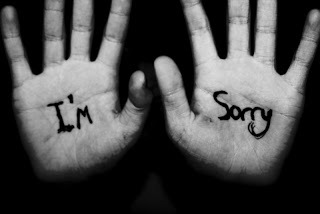 I need to tell you I’m sorry. I’m sorry for writing. Sorry for the way it makes you both look to the world outside, one that doesn’t know you the way I do and doesn’t understand. I just needed to get these things out. They’ve stuck in my mind for so long that they are part of my everyday thoughts, I couldn’t keep it all inside anymore. I’m sorry. I don’t write them to hurt you. I don’t want to hurt you at all, not ever. I know you’ll be upset if you ever saw my books. Probably deny everything too because you’d read the words the same way any reader, reads them, like it’s your fault. And I know it isn’t. I know these things that I write about are as much me as they are you. I know deep inside if I had never been your child you would never have partaken in the activities you did. I created you just as you created me and I’m sorry. I wish I could go away, not now, but in the past. A long time ago when I wouldn’t matter to anyone at all. I didn’t matter to you because I was so bad. Why did you not just go that step too far? Why did you not kill me for the things I did and the things I made you do? I want so very much just to cut through my skin and make it hurt, to stare at that face in the mirror like I did as a boy and watch him suffer. He deserves it, but the face isn’t little anymore. He’s hiding somewhere I can’t reach him. I’d make him pay if I could. He deserves it. I’m sorry for showing the world our secrets.